They were tough times, the days when swords and magic still ruled the world. A long, destructive war had ended, and the entire continent had been unified. Before the empire's subjects had even come to know peace, however, their great emperor fell victim to disease, having never declared a successor... We must not return to that war-torn world! Thankfully you are an influential figure in the empire. Quickly lay claim to the throne and ensure the rock-solid unity and peace of the continent. Though the emperor had no son, there are seven candidates for succession, starting with the two lineal princesses. 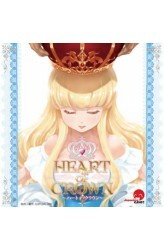 Now, let's get your favorite princess on the emperor's throne! Garner support from all over the country, clash with rival candidates and depend on your special skill! Heart of Crow.. In Hormonde, a strange world deep in the folds of time, the Hour Demons have finally found a hobby worthy of their cruel hearts... the Arena! The idea is simple. They select warriors of all ages and lands and whisk them away to the Hormonde where the enslaved gladiators must fight for their souls and the chance to become the ultimate champion. Why don't the gods put an end to this macabre circus? Why does Xelor himself turn a blind eye to the demons' meddling with time's delicate web? Well, you may ask, but it is not for us mortals to know the minds of the gods. 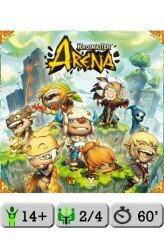 Krosmaster: Arena is a player-vs-player, tactical card game with anime-style miniatures that offers the craftiest tacticians among you the chance to challenge other players to heated battles in arenas scattered around Hormon.. The Lady and the Tiger is five games in one! Doors: A 2-player deduction game by Peter C. Hayward. Favor: A 2-4 player auction game by Allysha Tulk and Kevin Carmichael. Hoard: A solo game by Ken Maher. Labyrinth: A 2-player maze game by Philip Tootill. Traps: A 2-6 player bluffing game by JR Honeycutt. Inspired by the classic short story "The Lady or the Tiger?" by Frank R. Stockton, each game offers a unique experience. Five amazing games, packed into just eighteen unique cards! 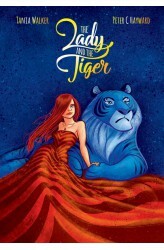 With stunning, evocative art by Tania Walker, The Lady and the Tiger is perfect for couples, families, ladies, tigers, and anyone who enjoys bluffing games. https://youtu.be/51bs_9L6laA ..